We apologize, but we are currently not holding any book fairs until further notice. You are welcome to fill out the form below, and we will put you on our pending list when and if we resume book fairs. Thank you! Earn Money for your Islamic School and Provide a Great Service to Parents & Students! We apologize, but we are currently not holding any book fairs until further notice. 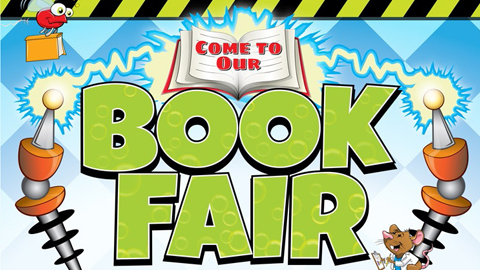 You are welcome to fill out the form below, and we will put you on our pending list when and if we resume book fairs. Thank you! Earn Money for your Islamic School and Provide a Great Service to Parents & Students! Help foster a lifelong love of learning with your children! Book fairs are an extremely effective way to bring great literature to students. By showcasing a broad array of Islamic kids books and products, you help your school earn money through a mutually beneficial fundraiser, and your students & parents can easily acquire some beneficial products. IslamicBookstore.com's Book Fair Program is a great way to do this! And with our guaranteed return policy, you don't have to worry about buying products you can't sell. Book fairs provide easy access to a wide assortment of books. Book fairs involve family, which demonstrates to kids that reading and learning about their Deen is important. IslamicBookstore.com has one of the largest and most diverse selection of Islamic children's titles in the U.S.
Download our PDF informational flyer for further information. Browse some of our recommended book fair publishers' and relevant titles below!